Leamington’s first high end independent laser clinic has now opened on Park Street. 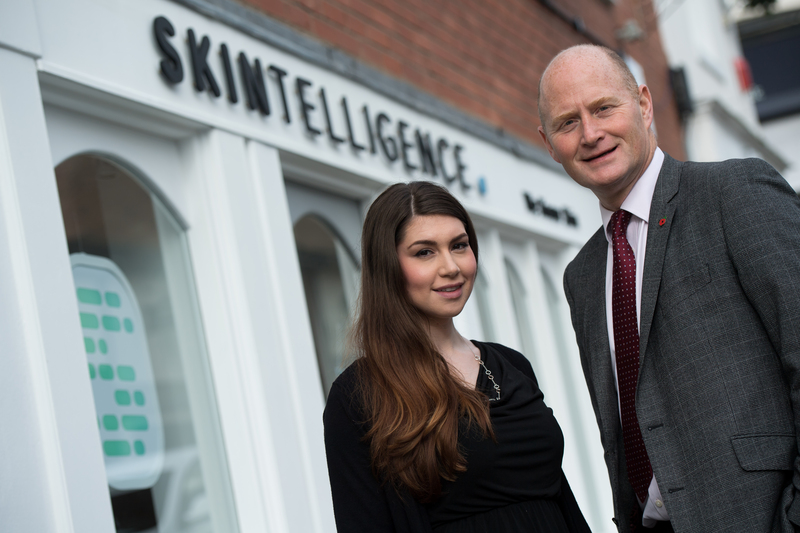 Set up by business partners Amber Price and Adam Finney, Skintelligence offers everything from skin tightening procedures and rejuvenation to the removal of hair, pigment, vessels and tattoos. Employing three full time staff with more than 25 years of combined experience, the 1,000 sq ft clinic, which was secured by local estate agency ehB Commerical, has already proven popular with visitors. Miss Price, who currently lives in Coventry but decided to open her clinic in Leamington after spotting a gap in the market, said: “We haven’t been open for long but we’ve already seen a steady number of visitors through our doors, which isn’t surprising as we’re the first high end independent skin clinic in the town. “There are a number of other laser/IPL operators in Leamington, as well as chains such as SK:N, but we’re the first independent clinic to offer such a wide range of specialist medical grade aesthetic services under one roof – especially when it comes to our tattoo removal department which can remove any colour ink – something which is quite unique in our industry. The Park Street premises has also already attracted the services of a self-employed nurse prescriber who offers injectable and medical rejuvenation procedures, an experienced beauty therapist, and the UKs largest micropigmentation training provider. Simon Hain, director at ehB Commercial, said: “Skintelligence offers a real unique service and I’m sure Amber and the team will do very well in Leamington.